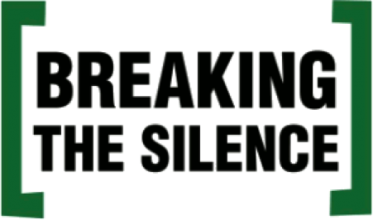 Breaking the Silence (BtS) is an organization of veteran combatants who have served in the Israeli military since the start of the Second Intifada and have taken it upon themselves to expose the Israeli public to the reality of everyday life in the Occupied Territories. BtS endeavors to stimulate public debate about the price paid for a reality in which young soldiers face a civilian population on a daily basis, and are engaged in the control of that population’s everyday life. BtS’ work aims to bring an end to the occupation. BtS collects and publishes testimonies from soldiers who have served in the West Bank, Gaza and East Jerusalem since September 2000, and hold lectures, house meetings, and other public events which bring to light the reality in the Territories through the voice of former combatants. We also conduct tours in Hebron and the South Hebron Hills region, with the aim of giving the Israeli public access to the reality which exists minutes from their own homes, yet is rarely portrayed in the media. Founded in March 2004 by a group of soldiers who served in Hebron, Breaking the Silence has since acquired a special standing in the eyes of the Israeli public and in the media, as it is unique in giving voice to the experience of soldiers. To date, the organization has collected testimonies from over 1,000 soldiers who represent all strata of Israeli society and cover nearly all units that operate in the Territories. All the testimonies it publishes are meticulously researched, and all facts are cross-checked with additional eye-witnesses and/or the archives of other human rights organizations also active in the field. Join FMEP in supporting the work of Breaking the Silence by making a charitable contribution today. * FMEP awarded a grant to the New Israel Fund, in support of its existing work/fundraising for Breaking the Silence.